Over two years ago, I critiqued an article in Tobacco Control that I labeled “another thinly veiled call for reducing nicotine to ‘non-addictive levels’ in cigarettes” (my blog post is here). I said then that … “it doesn’t take an active imagination to appreciate the disaster that would result from radical reduction (prohibition) of nicotine in cigarettes.” Zeller and his coauthors did not understand the effects of radically reducing nicotine in cigarettes. Yet, they make nicotine prohibition sound like the perfect solution for the nation’s 45 million smokers. I am less concerned that Zeller used to work with GlaxoSmithKline than I am with the possibility that he might steer the FDA to reduce nicotine levels in tobacco products to the nonaddictive level in GSK’s nicotine medicines. Those levels, the data show, don’t satisfy smokers and result in a 93% failure rate for smoking cessation (discussed here). The principal investigator of the study, which was published in Social Psychiatry and Psychiatric Epidemiology (abstract here), is Nicholas Peiper, a doctoral student in epidemiology at the University of Louisville; I am honored to be a co-author. Peiper analyzed data from the 2005 to 2008 National Survey on Drug Use and Health (NSDUH). 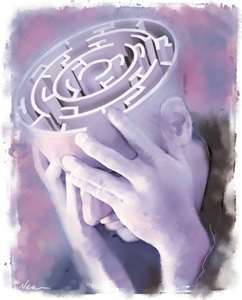 In addition to detailed information on tobacco use, the survey also measures past-year serious psychological distress and major depressive episodes using clinically validated instruments, and past-year anxiety disorder with proxy items. Results were adjusted for other potential factors for these disorders, including age, race/ethnicity, education, income, marital status, diabetes and other illnesses, substance/alcohol abuse and pregnancy. Both male and female smokers were more likely than never tobacco users to have experienced past-year serious psychological distress, major depressive episodes or anxiety disorders. Smokeless users were less likely to experience psychological distress (statistically significant in men) and depressive episodes. Female and male dual users were significantly more likely to experience anxiety; female dual users also experienced more psychological distress. The Parliament magazine, which covers European Union news, politics and public policy, just published a special supplement on snus. The supplement, underwritten by the Swedish Food Federation and the Swedish Food Worker’s Union, documents the travesty of the EU snus ban, with articles by Velvet Glove, Iron Fist author Chris Snowdon; Swedish members of the European Parliament Christopher Engström and Christofer Fjellner; Director of the Norwegian Institute for Alcohol and Drug Research Karl Lund; Swedish ministers for trade and children and the elderly Ewa Bjorling and Maria Larsson; Swedish Institute for Tobacco Studies’ Lars Ramström, and others. The supplement is available on The Parliament website (here); a PDF version can be obtained from my SmokersOnly website (here). I also contributed the following article to the publication. Today this story is unimaginable. Seat belts are a proven harm reduction measure, preventing deaths and injuries from auto accidents. Why does the EC embrace seat belts and still ban another proven Swedish harm reduction measure, snus? Snus is a 200-year old tobacco product. 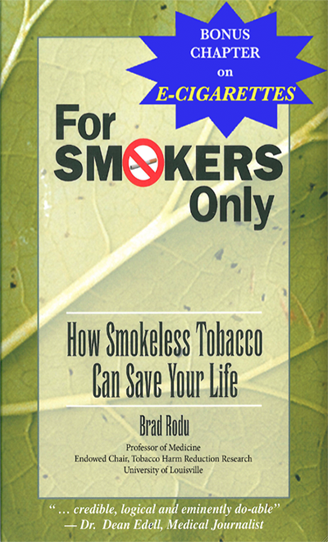 When placed in the mouth, it delivers nicotine and tobacco satisfaction, like cigarettes, but without the smoke. Nicotine is not the major cause of any disease; it is no more harmful than caffeine, which is addictive but safely consumed in coffee, tea and cola drinks. Smoke kills. In contrast, studies from Sweden show that snus has minuscule health risks that are barely measurable with modern epidemiologic tools. This applies even to mouth cancer, for which snus poses virtually no risk. 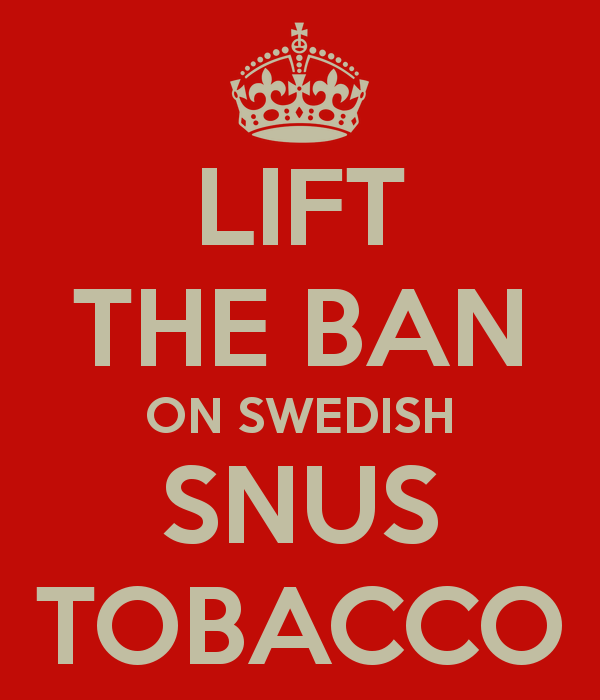 The EU removed the cancer warning on snus packages in 2001. For 50 years, men in Sweden have smoked less and used more smokeless tobacco than in any other developed country, resulting in the lowest rates of lung cancer -- indeed, of all smoking-related deaths. The Swedish snus experience is not only about men; increasing numbers of Swedish women are using spit-free, socially acceptable snus products. The EU ban on vastly safer snus is contributing to smokers’ deaths. In a published study, I found that if EU men smoked at the Swedish rate, 274,000 smoking-attributable deaths would be avoided every year. The EU ban is largely based on health risks identified in Karolinska Institute (KI) studies, which have also had a profound impact on tobacco regulation around the globe. These studies have obvious technical problems and contradictions that I have documented in medical journals. The KI refused to respond to or resolve them. Three years ago, I asked the researchers for access to their data so that their findings could be validated. My request was refused, despite the fact that KI had shared research data with other investigators. Scientific results must be open to challenge to determine their accuracy and integrity. 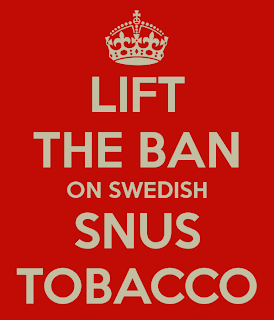 It is a tragedy that the EU ban on snus is based on exaggerated, fictitious or outlier health risks that mask the true harm reduction value of this product. Almost ten years later, EU smokers are still facing avoidable premature deaths. It is inhumane for the EC to continue to deny them the tobacco equivalent of seat belts. The FDA Center for Tobacco Products’s Dr. Ii-Lun Chen describes in Nicotine and Tobacco Research (citation here) adverse events related to e-cigarettes reported to the agency from 2008 to the first quarter of 2012. Dr. Chen notes: “…approximately half of all tobacco-related [adverse event] reports [since the late 1980s] concern electronic cigarettes, the first of which was submitted in 2008.” A look at details of the events reveals that few reflect legitimate e-cigarette health impact. Some “serious” complaints variously involved hospitalization for pneumonia, congestive heart failure, disorientation, seizure, hypotension, possible aspiration pneumonia, second-degree burns (from a battery explosion), chest pain and rapid heartbeat, possible infant death from choking on a cartridge, and loss of vision. The single burn case may have been related to an e-cigarette, as there have been media reports of rare battery-related incidents (here). The infant choking death, while tragic, implicates irresponsible adults who put children in proximity of ingestible objects; it is not an e-cigarette health issue. All of the other “serious” complaints were nonspecific and probably unrelated to the product. The bottom line is: Among millions of e-cigarette users, credible adverse events are almost nonexistent.